For your health, we promise that your dust mask will be disinfected strictly and we advise you'd better wash it before use for the first time. The Activated Carbon Filter can't be washed! Please clean and wash your mask after remove the filter. 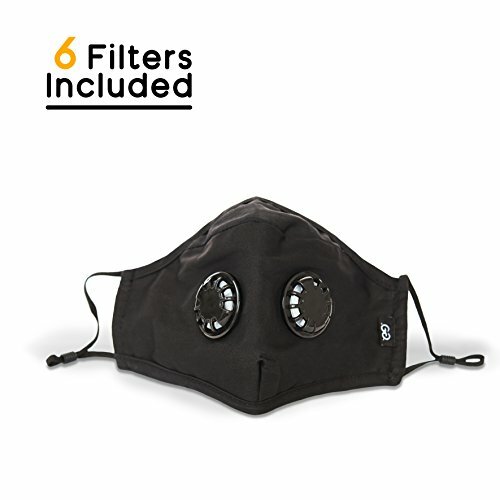 If you work and live in the area of full pollution, we strongly advise you to buy the additional Activated Carbon Filter as backup. Reusable & Washable Face Respirator Military Grade Mask Prevents Dust ,Burning Forest Soot, Ash from inhaling harmful particles into breathing system. Breath is a process which we make first think after the birth. We understand that quality of life depends on clean air so our company focus to improve and make as much people as possible be aware of pollution and our way of protecting from it. Travel can enrich our lives by many means. To make experience more profound we offer Anti pollution mask when you travel to Asia And India. If you have any questions about this product by GG Online Products, contact us by completing and submitting the form below. If you are looking for a specif part number, please include it with your message.